It hasn’t been all that long since Hyundai took a daring move and stepped, with at least one leg, out of the economy car segment and into the premium segment. Cars like the Genesis and Equus gave Hyundai a small foothold in that premium segment, and it has been there ever since, just riding the current and playing with the big boys that it once avoided. Hyundai continued to produce inexpensive, safe economy cars, while paying special attention to its test subjects in the premium segment. Now that Hyundai has a somewhat steady foothold in the premium segment, the automaker has decided to step its game up even more and bravely step into the luxury segment. A new brand has been developed under the name “Genesis,” and we’ve recently seen lots of images of its flagship model – the Genesis G90. It now appears the Hyundai has a forward momentum that it doesn’t want to waste, as it has expanded on the G90 model and created the Genesis G90 Limousine. Our spy photographers just caught that limo out road testing, and even better than that, they caught it uncloaked and free of any camo. If Hyundai’s G90, and this new limo prove to be as reliable and safe as we expect, they will represent a strong competition for other luxury brands from that side of the world. For the G90 limo, the Koreans played it safe, making the limo almost identical to the G90, albeit a bit longer. So what does the G90 bring to the table for the Genesis brand? Keep reading to find out. 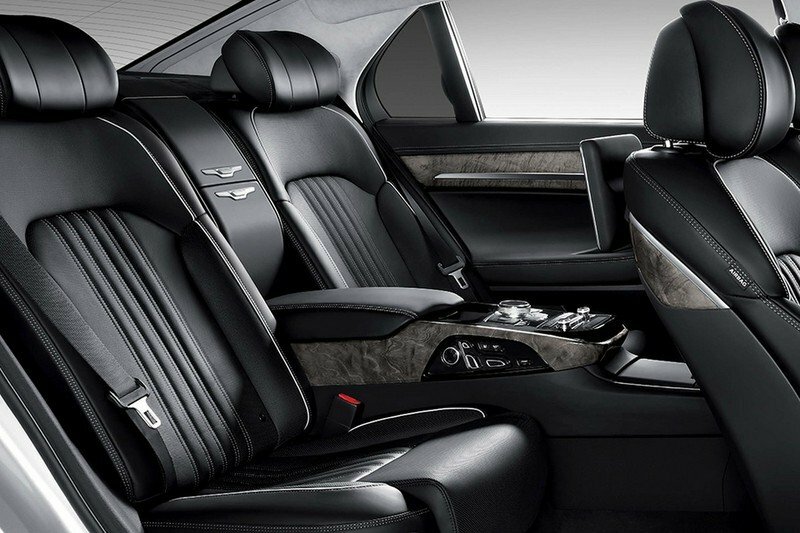 Continue reading to learn more about the Genesis G90 Limousine. One look at the front of the vehicle in these spy shots, and you know it is a G90. It has the same “Athletic Elegance” design and that huge Genesis grille just below that unique, winged emblem. The same headlights, LED running lights, and hood from the G90 sedan are in use here. Moving to the rear, we can see the same oddly shaped, wrap-around taillights, chrome trim around the fascia and across the rear deck lid and rectangular exhaust pipes. It should be noted that, despite the extended length, the area behind the rear doors and the area from the front doors forward, are the same size as the G90 sedan. It should be noted that, despite the extended length, the area behind the rear doors and the area from the front doors forward, are the same size as the G90 sedan. The side of the limo is where all of the changes come in, and where it is painfully obviously that this model is drastically extended in length. The same chrome trim surrounds the front and rear windows, and there is a chrome strip at the bottom, along the top of the side skirts. From a direct side view, it is apparent that the rear doors are significantly longer – probably by about eight inches or so. Adding to that length, there is a significantly wide body panel between the front and rear doors. This panel also looks to be somewhere in the area of seven to eight inches long. The area between the door glass and the doors look pretty normal, but if you look at the bottom, specifically at that chrome trim, it looks almost like someone cut the G90 in half and welded it back together with an extension in the middle. I believe it looks like this because the chrome strip is actually attached to the doors, but it still gives a “thrown together” appearance with the body line just above the chrome trim contributing to the awkward look. Personally, I think the limo would look better if the rear doors opened opposite the front doors – just like the Rolls-Royce Phantom. That, of course, is just my opinion, though. Note: Genesis G90 sedan pictured here. Our double agents weren’t able to get any good shots of the interior, but from the view we have, the top of the dashboard appears to carry the same shape as that of the G90 sedan. 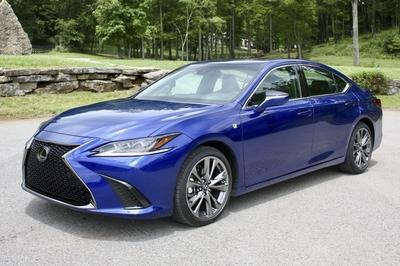 That said, I predict that the front passenger cabin will be identical to that of the sedan. Expect to see Italian and Nappa leather, with contrast stitching and polished aluminum inserts throughout the entire interior. 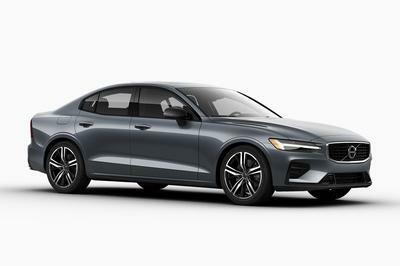 It likely has the same adjustable seats that are certified by German back specialists, along with similar technology like a parking camera, 360-degree monitor, and a large, 12.3-inch touchscreen that rivals what we see in similar vehicles from Mercedes. To the rear, expect to see the wood trim like we saw in the sedan, but expect some more technology in the rear. To the rear, expect to see the wood trim like we saw in the sedan, but expect some more technology in the rear. The real question about the inside of the limo, considering this car is designed to haul around VIP in the rear, is whether or not the front and rear will be separated. If it isn’t, I wouldn’t put it past the Koreans to install touch screen monitors in the headrests of the front seats, or even larger modules in the seat backs. If the interior is separated, a larger, motorized infotainment screen could be installed in that barrier giving those rear passengers a more pleasurable riding experience. Either way, important business people need to stay up to date on the day’s unfolding news, don’t they? I expect to see an independent climate control system for the rear, and if nothing else, the rear seats may adjust. This would allow those in the rear to recline and relax between destinations. A lot of that is speculation, but considering this limo is slated to combat is German-designed counterparts, I’m sure the Koreans will go out of their way to provide adequate competition. There is no official word of what actually powers the G90 limo, but it is likely it will be available with at least one engine from the G90 sedan. Given the limo’s longer wheelbase, and obvious increase in weight, it’s likely that it will use one of the sedans larger engines as opposed to the base 3.8-liter V-6. I suspect we’ll see the 3.3-liter, turbocharged unit – putting out 365 horsepower – under the hood. 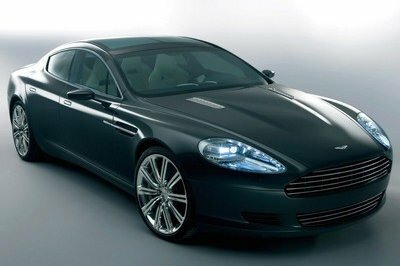 For the range-topping variant of the limo, it’s possible the 5.0-liter V-8 will offer its motivation of 419 horsepower. I would like to mention that it is possible the engines will be beefed up a bit to make way for the extra weight, allowing the limo to offer up the same 5.7-second sprint to 62 mph with that V-8 powerplant. 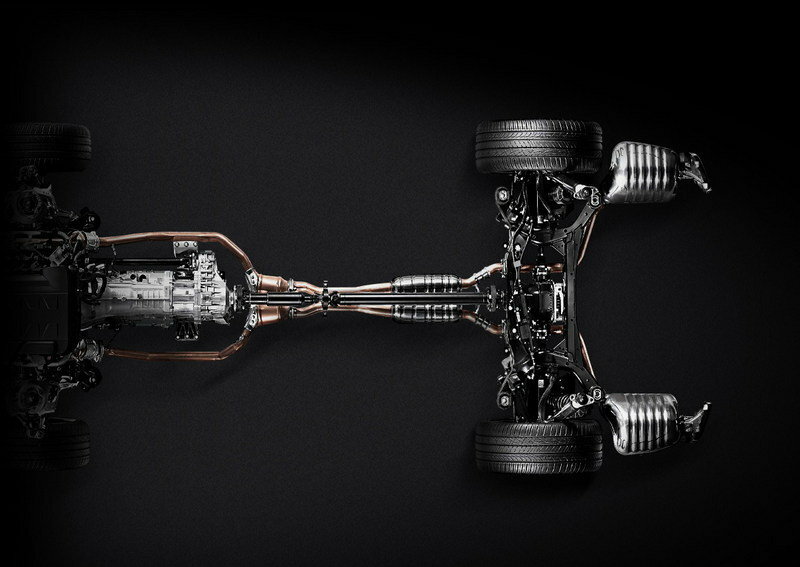 Considering the limo will be aimed at a different customer base compared to the G90 sedan, I doubt a hybrid drivetrain will be available, at least not right away. We’re still not sure of the price point for the G90 sedan, so pricing of the longer, G90 Limo is an even bigger mystery. Given the pricing of the competition, and the fact that the Koreans will do their best to beat them on the price front, I suspect the limo will go somewhere in the range of $75,000 to $80,000. That, of course, could change drastically, depending on the price point of the G90 Sedan. If the Koreans can offer this limo at a much cheaper price than its competitors, with similar comfort and amenities, it could prove to be quite successful in its given segment. 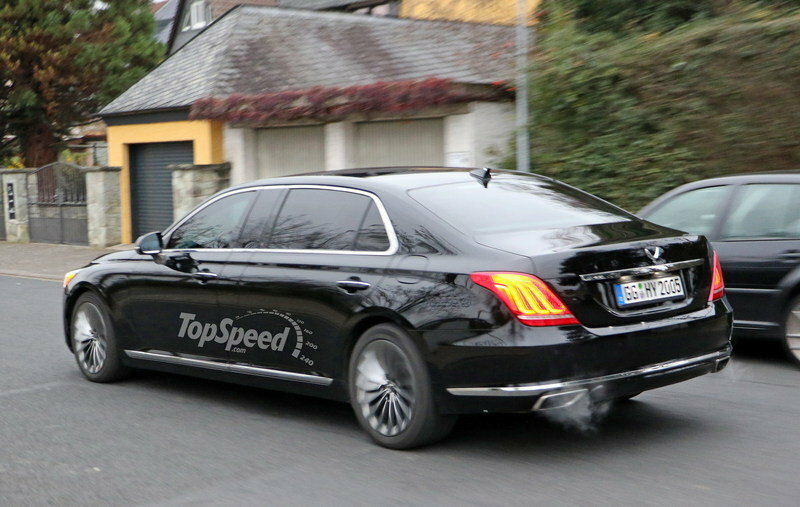 The BMW 7-Series looks to be one of the prime competitors for the G90 Limo. It has been redesigned for the 2016 model year, and even offers a new Executive Lounge Seating package for rear passengers. This adds a pop-out footrest and a reclining seatback for the right-side passenger. Adding to the luxury in the rear, a large display screen is mounted to the rear of each front seat, and the center console extends from the front all the way to the rear – separating the rear bucket seats. Ambient lighting and a rear mounted moonroof are sure to satisfy any mid-level executive. 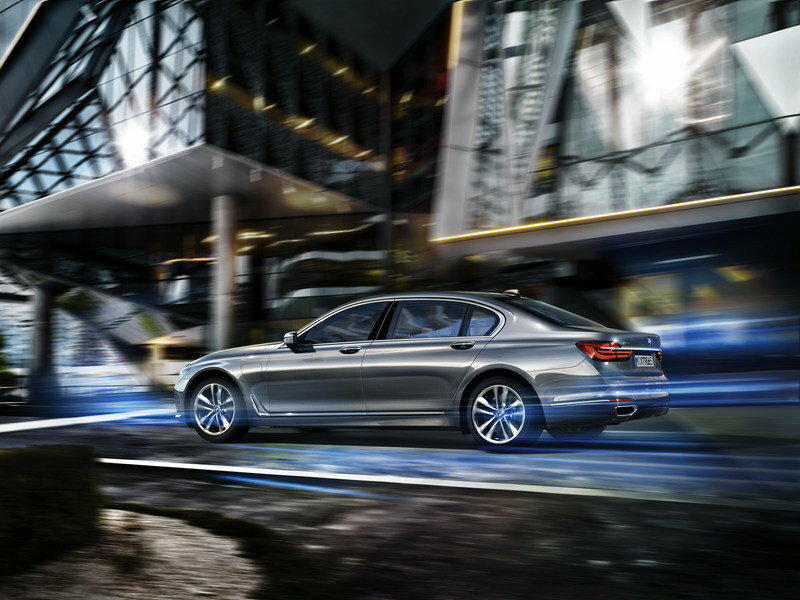 The 7-Series has an overall length of 206.6 inches with a wheelbase of 126.4 inches. Inside, rear passengers have 44.4 inches of legroom, 57.7 inches of shoulder room and 38.9 inches of headroom with a moonroof. The trunk should be adequate for carrying everyday business materials, offering 18.2 cubic feet of cargo space. It is available in rear- or all-wheel drive and is powered by either a 320 horsepower 3.0-liter, inline six, or a 4.4-liter V-8 with TwinScroll turbos and an output of 445 horsepower. Pricing for the 7-Series starts out at $81,300 and jumps to $97,400 in xDrive form. The Mercedes S550 proves also to be a worthy competitor of the G90 Limo. It has an overall length of 206.5 inches – just 0.1 inches longer than the 7-Series – and a wheelbase of 124.6 inches, just 1.8-inches shorter than the 7-Series. Of course, we don’t know what the G90 Limo’s specs are at this point, but I suspect they’ll be somewhere in the same area as these two competitors. Looking at the inside, rear headroom comes in at 37.4 inches, legroom at 43.1 inches, shoulder room at 59.1 inches, and a trunk capacity of 16.2 cubic feet. Inside the S550 offers all-LED interior lighting, a rear seat entertainment system (includes a large monitor on the back of each front seat,) TuneIn world Radio, and Bluetooth audio streaming, among other creature comforts. LED ambient lighting on the inside can apparently be customized (based on various pictures from the manufacturer website.) Depending on how the S550 is equipped, it it can have a fold away, rear center console, or a stationary, but function center console that separates the rear buckets seats. A Panoramic sunroof is optional. The right, rear seat can also be optioned with a powered footrest, while other options include powered rear seats that can also be heated or ventilated. The S550 starts out at $99,575 before options. 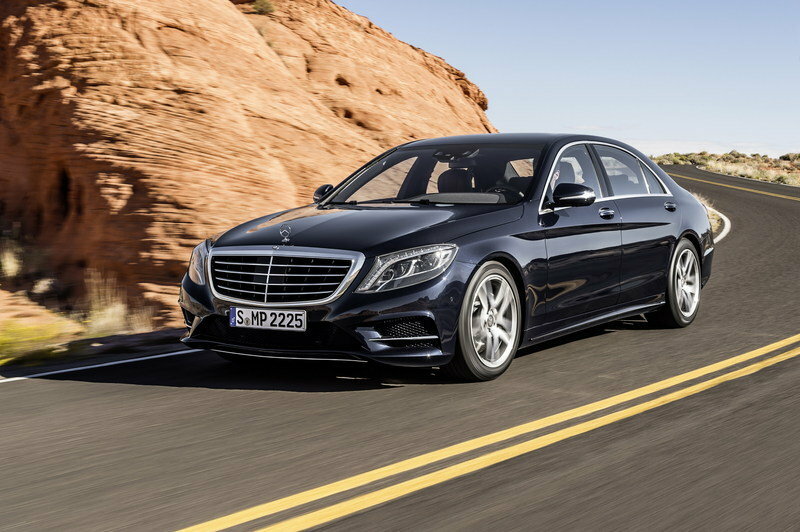 Read our full review on the Mercedes S550 here. I’ve got to hand it to Hyundai for being so optimistic with its new brand, and for being so assertive with jumping into the luxury segment. In a way, though, I fear for our Korean friends a bit. Jumping into a new segment – specifically the luxury segment – after a long history of producing cheaper cars, and a limited history in the premium segment, might be more challenging than they expect. 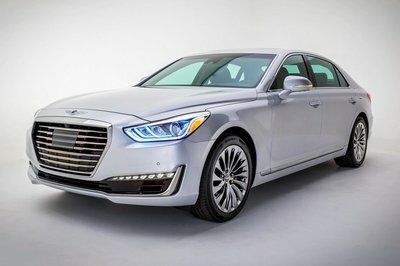 Granted they have done remarkably well within the premium segment, at least better than I expected, but there is still that saying: “It’s a Hyundai.” It doesn’t necessarily mean anything bad, but even with the Genesis brand name, the G90 sedan and limo may still be overshadowed by Hyundai’s past. 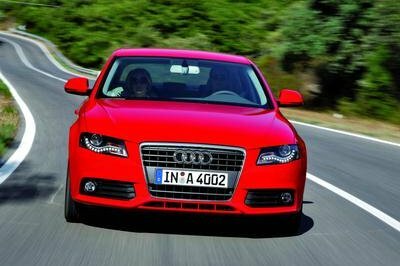 It may be a bit difficult to draw in the customers that might go for more established luxury vehicles In the upper, five-figure range, like the aforementioned competitors. 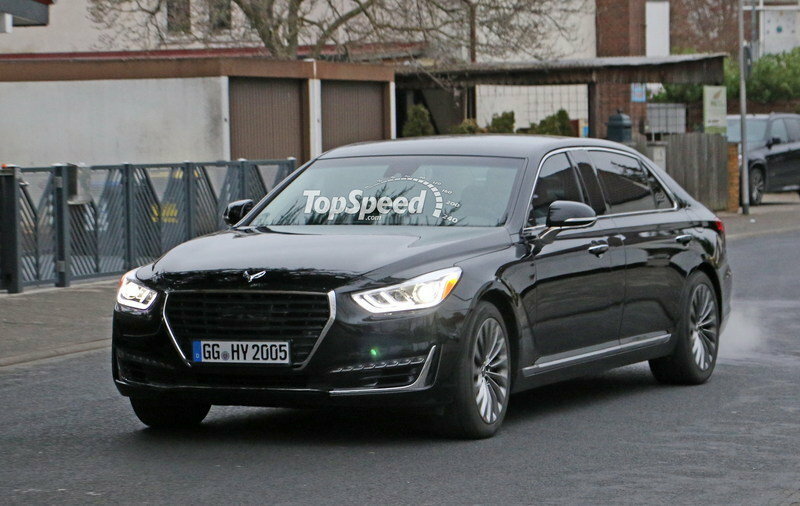 So far the G90 sedan looks promising, but the Koreans still have some work to do if the sedan, and this longer, G90 Limousine are going to be as successful as they hope. Of course, if the car is just as luxurious and dependable, at a much cheaper price, those customers just may give the Genesis brand a whirl. Similar to the G90 sedan in the front and rear. Additional cabin space for rear passengers. Lost of room for added luxury and features over the sedan. Panel between front and rear doors seems lazy and not well executed. Will it make it to the U.S. with that odd extension in the middle? May be too early for Genesis brand to consider an extended wheelbase model.